This is a guest post written by Sam Rector, product marketing manager at Appfire, makers of the award-winning Bob Swift and Wittified brand Atlassian apps. Bug tracking is hard. Once more for your boss in the back. Bug tracking is hard! The support agent to developer handoff is a crucial yet an easily mishandled exchange. That’s bad news if you’re striving for low time-to-resolution targets and happy customers. 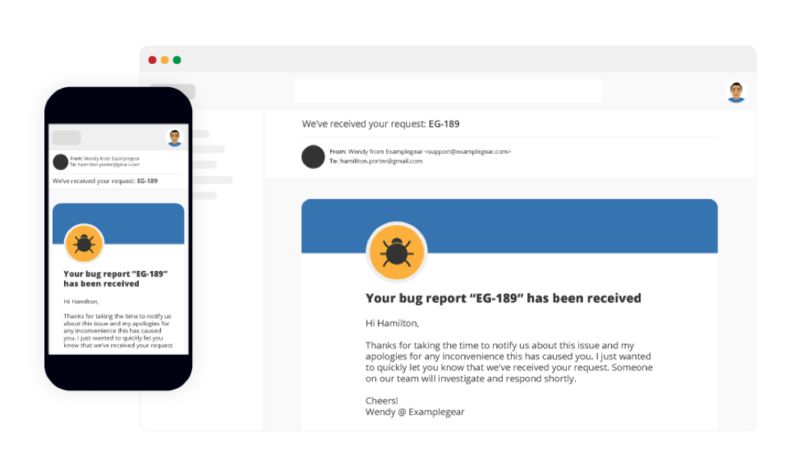 Luckily, Atlassian and its app vendors provide an array of tools that can help you automate your bug resolution workflows to improve speed, consistency, and communication. Even with thoughtful planning, automation pitfalls can still come out nowhere, are difficult to recognize, and are even harder to reverse. In this post, we hope you’ll find some new strategies for streamlining your bug resolution automation, avoiding common bug tracking mistakes, and improving your customer satisfaction. Let’s get started! For more great tips on further organizing and designing your customer portal, check out 3 tangible ways to improve your customer service in Jira Service Desk. While automating tasks can save you a lot of time, any automation can be a double-edged sword. It’s natural to feel false comfort because “automation is taking care of that!” Picking what and how deeply you want to automate a task and mapping the automation beforehand can help you eliminate any bottlenecks from making their way into your live environment. For instance, take issue creation and assignment. With Marketplace apps such as Clone Plus for Jira or Create on Transition for Jira, you can set up automation to create a linked issue in a relevant Jira project when a new bug is reported in Jira Service Desk and pre-populate any fields, labels, watchers, attachments, comments, and assignees. However, you might find that automating very granular tasks like auto-assigning bugs to the correct developer is quite challenging. As we all know, a mis-assigned issue can be easily overlooked. Instead, it might be best to auto-assign every bug ticket to a development manager who knows the roles, projects, and priorities within his or her team and can properly triage these issues. It can be helpful to automate syncing your support issues and dev issues so your agents are always in the loop on the status of a bug fix. You can do this in Jira Service Desk by creating an automation rule that states: IF a linked development ticket is changed or moved, THEN change or move the corresponding support issue accordingly. As a quick heads up, by default, Jira Software users can’t view or comment on Jira Service Desk requests. This default setting can be a roadblock as we try to improve bug-tracking visibility across teams. You may want to consider updating these permissions for easier, more efficient communication. Additionally, Atlassian’s blog post on collaborating with developers using Jira Service Desk has some really interesting ideas on how to improve communication between your support and dev teams. That pesky bug has finally been fixed and it’s time to notify the customer of the good news. 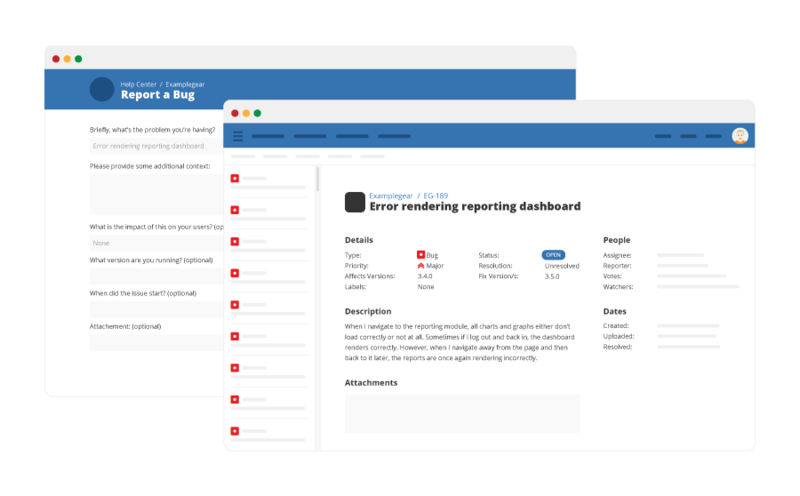 With Jira Service Desk, it’s simple to set auto-notifications for customers when an issue is resolved during various points in the bug resolution process (e.g., initial ticket creation, entering active development, etc.). Upon ticket resolution, most companies send out a mundane, plain-text, automated email that reads something like “Ticket #XYZ has been resolved. Thank you, ACME Corp.” Domo arigato, Mr. Roboto. It’s time to take your email notifications up a notch. While your new and improved emails should remain short and to the point, they can also be a lot more engaging if they sound like they’re coming from a real, breathing human. Plus, customer notifications in JSD can be designed with custom HTML and CSS, so why not have a graphic designer create an on-brand, reusable design template? 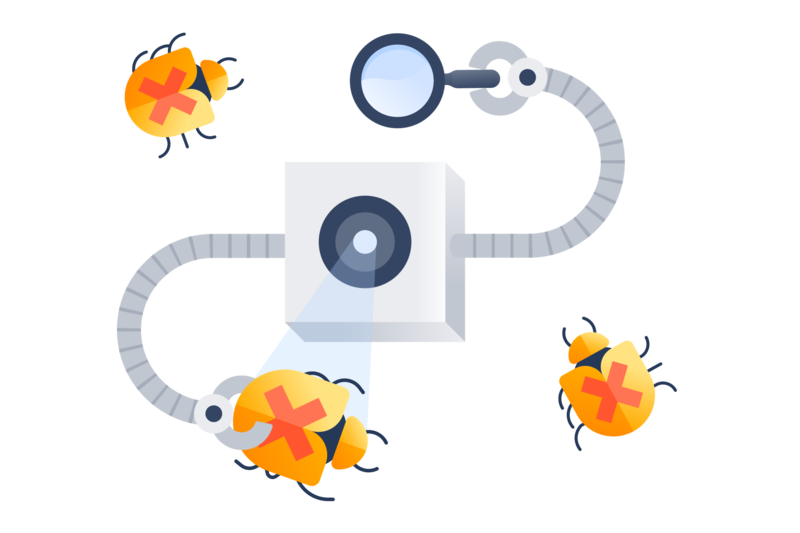 While automating your bug tracking is certainly a big step toward eliminating mismanaged issues and speeding up the process overall, it certainly isn’t foolproof. Like bugs making it out of QA, flaws in your automation will inevitably present themselves. That’s why your organization might want to consider appointing a “bug master” to manage any hiccups in your automation, ensure that any manual housekeeping around your automation is regularly performed, and act as a communication bridge between the development and support teams. If you’re thinking about implementing some of the tips above, the perfect bug-tracking czar at your organization might just be you. Appfire offers a large portfolio of automation tools, including award-winning apps like CallCenter for Jira Service Desk and the Command Line Interface (CLI) family of apps for Jira, Confluence, Bitbucket, and more. 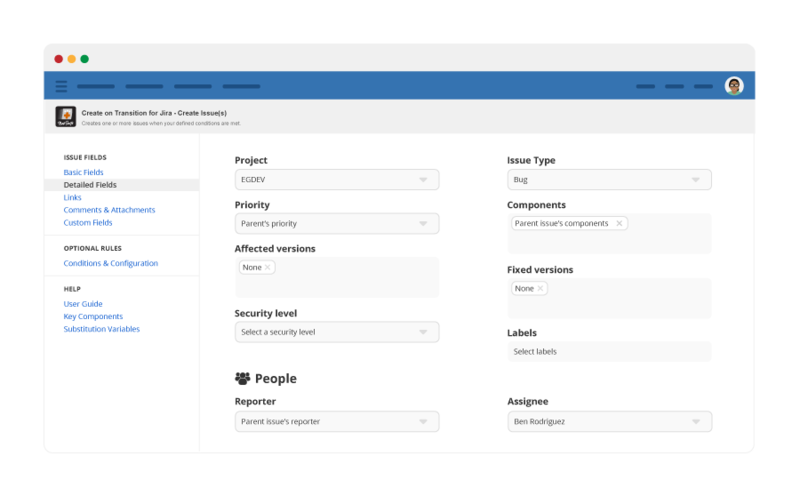 Check out the Atlassian Marketplace to see how you can save admin and developer time by automating manual tasks within your Atlassian tools. Note: all of these tips apply for users of Cloud, Server, and Data Center versions of Jira Service Desk (JSD).